Series of images for a chapter of a book in robotic surgery. 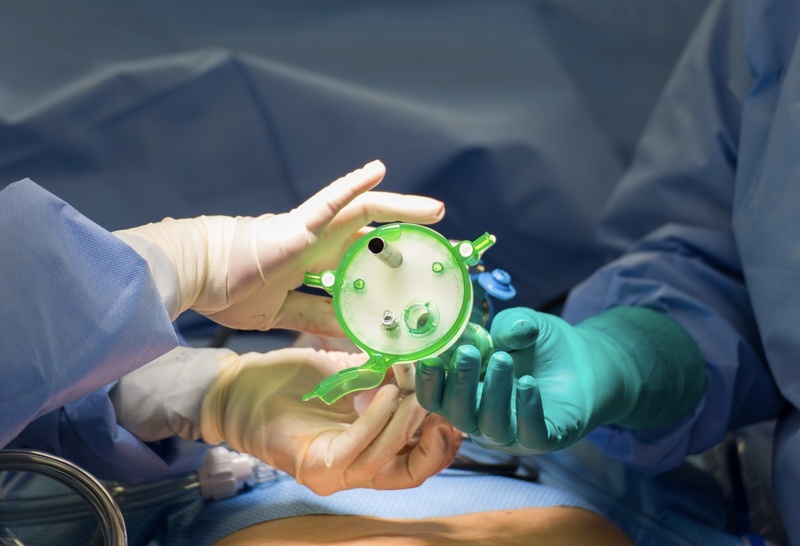 By using this gel port, the surgeon can make a single incision in the umbilicus (easy to hide the scar) for single site laparoscopic surgery vs a larger laparotomy or standard robotic surgery that would have more incisions/longer recovery time. This makes it harder for the surgeon (requires more skill) but is usually better for the patient.